Get Started Now to Begin Unschooling in September! 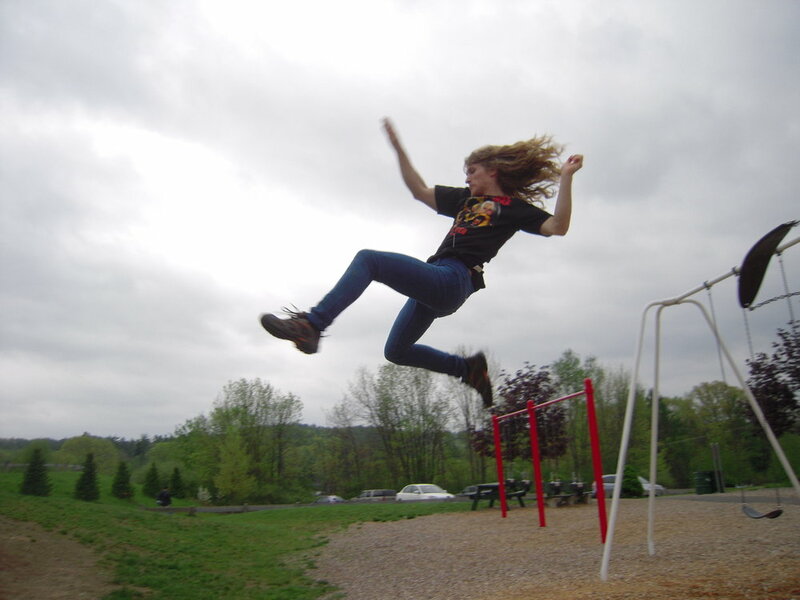 Take the leap into unschooling! Maybe you have been thinking about, reading about, talking about and even researching unschooling but you aren't sure whether you are ready to make that leap for your family... I remember the day my son and I broke away from schooling, mid-school year, and leaped into the void of my son living and learning naturally, as nature intended. It was exhilarating and frightening for me at the same time! As the day began and the time that he would normally leave for school came and went, I saw the joy and relief on my son's face as we became involved in the various indoor projects and outdoor adventures we planned for our first day of learning without school! To watch my son playing, smiling, laughing and exuding joy provided me with the most profound realization and evidence that what we were doing was natural, fully congruent with his physical, psychological, cognitive, social and neurological development and right for him holistically in every way! Over the next few weeks and months of deep connection, of my son feeling free to meet all of his biological needs on his own body's timetable, of him following his passions through play and exploration, of us being active in nature and of us becoming involved with community activities and homeschool groups, I couldn't imagine life any other way for my child. Unschooling supports the parent-child attachment relationship by allowing parents to be sure their children's biological, psychological, intellectual, creative and social needs are being met. Not even a fraction of these needs can be met in traditional schools and over time, the parent-child attachment connection becomes injured and may become distant or adversarial. Our children need to be with us, their families, and involved in their world communities, not imprisoned behind concrete walls with strangers and other distressed "inmates" all day. Unschooling is in line with nature's intent for how children learn: Through play. Youth of all ages, from infants through adolescents learn through play: Vigorous, passionate, dramatic, loud, rough, exploratory, secretive, quiet and adventurous play that occurs alone, with friends or with family. The force-feeding process of indoctrinating children in school settings with curriculum, control and confinement is not actual learning, but only conditioning under the threat of punishment or deprivation. Over time, this conditioning process causes many children to become exhausted and emotionally distressed or to run on "automatic pilot". Sooner or later, children shut down, become apathetic to actual learning, act defiant, or, in an attempt to obediently acquiesce to the curriculum, disconnect from spontaneously and authentically reveling in their true interests and passions. Far too many children are diagnosed as "learning disabled" or as having the fraudulent "ADHD" label because they are simply starved of play. Unschooling allows children to pursue, express and fulfill their own unique passions, gifts and offerings to the world and to live and learn in a way that is right for their unique time table, learning style, temperament and intelligence. In short, unschooling is simply a new name for ancient wisdom; a title put on how our peaceful indigenous tribal ancestors guided their children's learning for Millennia prior to being disrupted by the institution of agriculture, civilization and the Industrial revolution. The key to unschooling is to live and to enjoy life at a balanced pace that works for your family. Allowing children to spend time playing and pursuing their passions and interests is the primary foundation of unschooling. Exposing children to a variety and diversity of experiences, materials, places, people, arts, community events, social opportunities and activities will help children discover new interests and hidden talents. Some children enjoy a more structured schedule of activities, while others need to be completely free with their exploration and creative inventions in order to thrive. Most children enjoy a balance of both a structured and a free schedule. Unschooling is right for all types of children and their unique learning styles because its foundation is allowing children to be driven by their individual needs, interests and goals. The possibilities are endless as to how your children can spend their unschooling days! For some children, this might appear more academic and "schoolish" to the outside observer. Other youth might choose to spend their days in nature building forts, climbing trees and observing animal habitats. Some children will read, write, build, paint, craft, cook or play music most of the time. Many unschooled youth have volunteered, attended college classes, traveled or opened up their own businesses. Others still may appear to be playing all day without any semblance of academic accoutrement! Wonderfully, ALL of these diverse ways of learning lead to preparing youth for their own unique life paths and describe unschooling- as long as they are child-led. A common approach when families begin unschooling is for parents to try to fill each day or even hour with a cornucopia of scheduled activities to convince themselves that learning is in process. Although this will work for some families, over time this approach could potentially burn out children and families. Overtime, exhausted and burnt out families may find that they are doing less and less that is actually enriching, fulfilling and adventurous, to the point where the days become mundane and errand-focused, with little social activity for the children and sedentary screen time as the focus of the day. This slump often causes youth to believe that they should return to school in order to "get socialization" and activity. What a loss to escape and then return back to an environment that harms children! It is important for us as parents to assist our children in continually exploring and finding the resources, opportunities and social connections they need in order for unschooling to meet their needs as nature intended. Why isn't screen time considered play? Some parents might argue that video games are the "passion" of their children. Many families who unschool or who are considering unschooling have encountered the trend of parents allowing children to spend hours on a daily basis playing video games, watching TV, texting or posting on social media. However, screen time is not playand in fact, screen time may be as stressful to the child's holistic health as sitting at a desk in a classroom all day. Dramatic play invigorates all parts and processes of the brain, stimulates creativity, feeds the imagination, fosters critical thinking skills, builds crucial face-to-face social skills, contributes to mental health and often involves the entire body moving, whether gently or intensely. Physically active play exercises the muscles, tendons, joints, spine and bones, long distance and periphery vision, and supports all systems of the body including the respiratory, digestive and circulatory systems. To the contrary, young children who become involved with video games often spend very little time in dramatic play or they abandon dramatic play completely as early as age six. I have seen a trend in my clinical work of children who literally do not know how to play; their imaginations are stifled and weakened due to constant media saturation (in addition to school busywork). Dramatic play is a crucial requirement for optimal child development. Dramatic play and reading paper books excites the imagination and stimulates the entire brain. Video games, TV, social media and texting shut down processes and parts of a child's brain, especially those related to critical thinking. Research has shown that violent media may negatively impact a child's development of empathy. Screen media actually has an effect on children's neurological dopamine reward system similar to heroin or other drug addiction. Media offers instant gratification, causing some children to feel that dramatic play seems tedious in comparison to the reflexive and addictive attraction to checking their phone, updating their social media status, playing live online games or vegging in front of the TV. The dopamine crash of turning off the TV or the screen can lead to depressive symptoms and anxious restlessness. Children realize that once the video game or screen is turned off, there are no gains translated into "real life". How do children often attempt to remedy the affects of these depressive, anxious symptoms? With more screen time! Additionally, consider the physical effects on the body of being sedentary, slumped, with the vision fixed on a small concentrated screen and the fingers performing the same small motions over and over, sometimes hundreds and hundreds of times: While research has found that reading a paper book is easy on the eyes, screens cause eye strain and restrict periphery vision. While children who read can move around and read in a variety of body positions, indoors and outside, screen time often fixes a child's body to very limited and unhealthy positions. Repetitive tendon stress injuries may result from excessive texting or video game usage. Sedentary behavior negatively affects every system of the body, affecting overall holistic health. My recommendation is that you treat screen usage like you would treat any other addictive agent: Either unplug completely or discuss with your family a way to keep media usage in its place, with the priority being "real life" activities, time in nature and time with family and friends. In our home, through out our unschooling journey, my son spent the majority of his time in "real life", off screens. As a grown unschooler now, at age 20, he is pleased with all he has been able to accomplish and pursue in his life as a result of prioritizing his "real life" time. If you are a single working parent like I was while unschooling, the first step will be securing reliable child care. When I began unschooling my son, we literally had a different caregiver for every day of the week just to make unschooling happen! I was also able to arrange times when I could bring my son to work with me. Start by looking for childcare within your family or circle of friends. Begin reaching out to the homeschool community and making friends- Maybe someone will be willing to assist you with child care? Consider building a part time home business to allow you more home time. If your child is still in school, research and learn your state's homeschool laws, as they vary from state to state. In most states, you will be required to send a "letter of intent" to your school district's superintendent or to a private school that agrees to act as your "participating agency". Some states require that you write up a curriculum while others do not require a curriculum. You can still unschool even if your state requires a curriculum. The law might require certain academics to be included in your homeschooling program, but generally the law doesn't strictly dictate how your child must pursue those subjects. Remember, how your child pursues learning a certain subject does NOT need to look anything like schooling. Only provide to the school district what the law requires, no less and no more. Research local homeschool and unschool groups and events in your area and attend as many of these with your children as possible until you find one or more that your children enjoy. Network with families and collect contact information so that your children can set up play dates with the youth they meet. Attend these groups regularly. Begin immediately keeping a log book and take photos to document some highlights of each day that you can use as part of your end of the year portfolio that is often required by most state homeschool laws. Collect any written, mathematic or artistic samples, as well as brochures, maps or flyers to add to your children's portfolios. Whether you are new to learning without schooling or whether you have already been homeschooling and are transitioning to unschooling, allow your children the freedom to play and follow their interests. Play with your children and share some of your own interests with them. Make sure to focus on having fun and deepening your connection, not on trying to "turn" play and activities into "teaching moments" or into something "educational". Everything your child does constitutes learning; it is up to the individual child to determine how he or she wants to respond to, express and apply that learning. Get outside, explore nature and get involved in community events and activities as a family and with other homeschooling families. Consider starting a homeschool or unschool group with your children based on one of their interests. For more step by step instructions and a list of ideas for specific materials and activities and how to document for the end of the year portfolio, please view my six YouTube videos, especially, So You Want to Unschool Your Child or Teen? 4 of 6 (Community Resources and Materials) and So You Want to Unschool Your Child or Teen? 5 of 6 (Documentation). The freedom that unschooling will allow your family, even if you are a working parent, is tremendous, and can't be believed until you experience that freedom! When you take the time to "deschool" yourself and challenge your beliefs about what learning should or shouldn't look like, you will begin to see learning through nature's lens. What determines nature's intent? The conditions that allow an organism to thrive! Children thrive when their needs are met, when they have close, connected and secure attachments with their parents and families, when they are allowed to let play and passion drive their time and focus, when they are allowed to form naturally mixed age friendships with diverse people, when they are active and engaged members of their communities and when they are able to fully experience all developmental stages of childhood on their own timetable. When children thrive, they learn to the best of their abilities. When children thrive, they naturally meet their full potentials and mature into successful adults! For a comprehensive and in depth look at children's needs and the harm done to children of traditional schooling, I invite you to read my book, Instead of Medicating and Punishing: Healing the Causes of Our Children's Acting-Out Behavior by Parenting and Educating the Way Nature Intended. I am available for supportive parenting coaching and consulting to get you started on your family's unschooling journey- I will even research your state's homeschool laws for you and assist you in writing your Letter of Intent! Learn more at: http://www.laurieacouture.com/coaching or book your consult with me now!